O aplicativo WSR converte seu dispositivo iOS em um prático controle remoto para o seu ew D1 digital sem fio. Um ou mais dispositivos podem ser configurados, gerenciados e monitorados. Prático e verdadeiramente conveniente: para música e trabalhos de palco, o aplicativo WSR é capaz de configurar, organizar e monitorar todos os detalhes de todos os enlaces de rádio do ew D1. 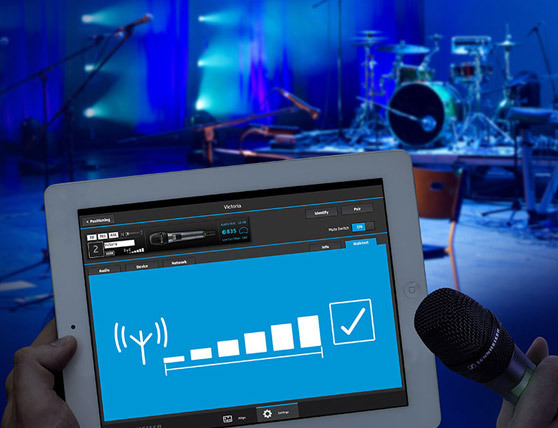 O SpeechLine Digital Wireless é a solução profissional para palestrantes e apresentadores: o aplicativo WSR possibilita que você acompanhe todos os enlaces entre o RX e o TX remotamente. Acompanhe funcionalidades importantes, como status da bateria, nívels de som e força do sinal a todo momento com o aplicativo WSR. 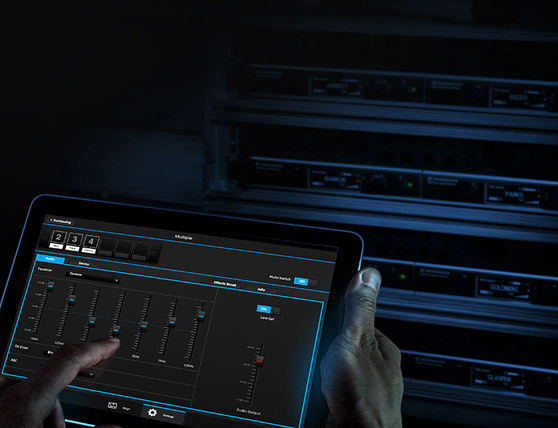 A versão para iPad ainda possibilita que você reajuste as configurações para o palco, incluindo o uso de fotos ou combinação no rack de 19 polegadas pelo método de arrastar e soltar. Só é preciso alguns movimentos com o dedo para alterar as configurações de um enlace de rádio, ou grupos inteiros. Posicione todos os receptores no local ideal - e controle-os de onde puder trabalhar melhor, seja na mesa de som, no escritório de produção, ou em frente ao palco. O aplicativo WSR possibilita acesso completo a todas as configurações. Equalizadores, de-essers, controladores de nível automáticos e sinais de saída podem todos ser ajustados para o novo ew D1. Usuários de SpeechLine DW podem otimizar o som para vozes masculinas ou femininas, criar perfis, ou alternar o corte de baixas frequências entre on/off. Configurar múltiplos enlaces de rádio? Muito fácil. Todos os enlaces de rádio, ou links selecionados, podem ser configurados como um grupo através de uma seleção múltipla conveniente, ou atualizados com parâmetros pré-definidos. Simplesmente segure o dispositivo iOS e verifique a força do sinal no palco. O modo Walktest irá mostrar a qualidade da transmissão em tempo real. O aplicativo WSR requer a última versão de firmware no ew D1 e no sistema SpeechLine DW. Após a inicialização, automaticamente serão detectados os dispositivos com o firmware desatualizado e a atualização será oferecida (necessário acesso à internet). In which GHz band should the router operate? - If the router operates in the 2.4 GHz band, possible sources of interference such as WiFi or Bluetooth should be switched off. On which iOS devices does the WSR app work? From which iOS version onwards does the WSR app work? On which Android devices does the WSR app work? - The WSR app is currently not available for Android devices! With which devices is the WSR app compatible? 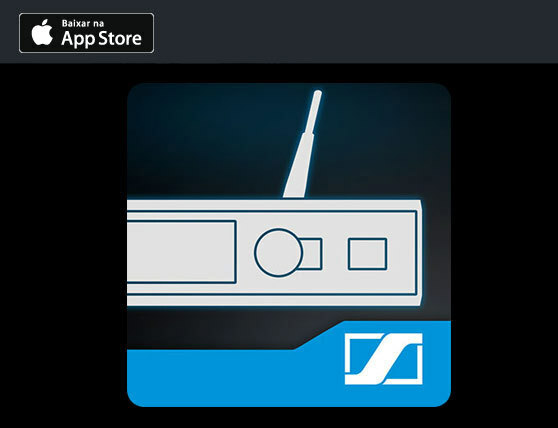 - The WSR app has been specially developed for ew D1 and SpeechLine DW devices. 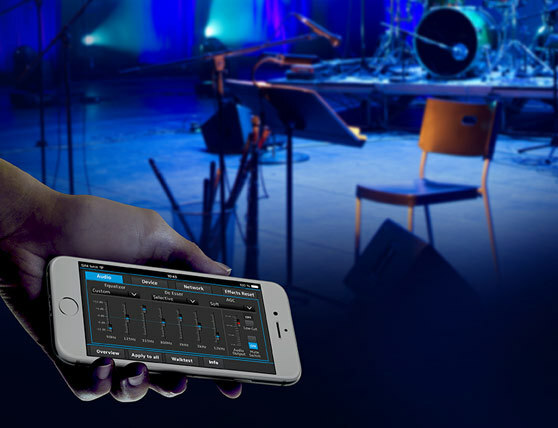 How does the WSR app differentiate between ew D1 and SpeechLine DW devices? 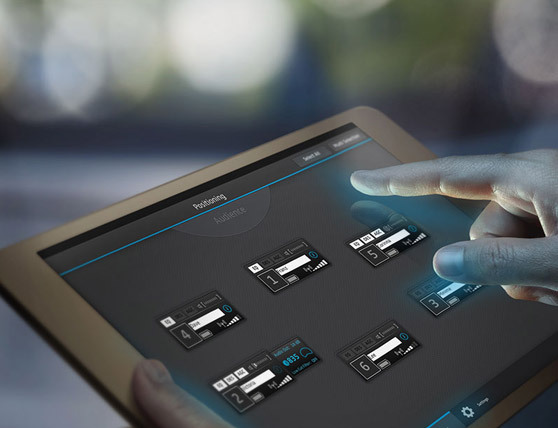 How many devices can be managed simultaneously using the WSR app? 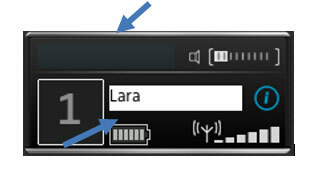 The WSR app does not detect the ew D1 or SpeechLine DW devices – what can I do? - Check the power supply and the cable connections (Ethernet). The WSR app detects my ew D1 / SpeechLine DW device but does not connect to it – what can I do? What is the Multiselect function and how do I use it? - This function facilitates the simultaneous configuration of multiple devices. 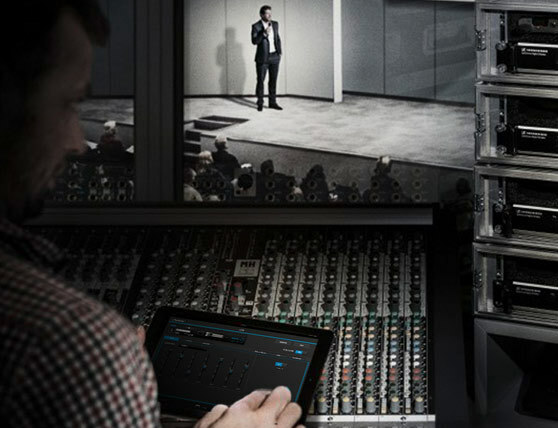 - Ipad: The Multiselect function allows you to adjust audio settings for several devices simultaneously. (Please note that the Multiselect function does NOT work when ew D1 & SL DW devices are mixed together in a system). - Iphone: “Apply to all” function: One setting is applied to all other devices. Device selection is NOT possible. values are displayed in white when settings are identical on all devices. Do I lose my WSR app settings if the app is switched off? - No, all settings are retained and are applied to and stored in the receiver settings. How do I update my ew D1 or SpeechLine DW devices? - The devices can be updated via the WSR app. To do so, select a device and check the availability of an update via the “Device” menu item. If an update is available, you will be asked to download it. Is there a master/slave available? - No, there is no master/slave available. However, the last change made to a parameter becomes effective. - It is recommended to protect the wireless network with a password / to limit access to the wireless network. How do I set up my network? The mDNS function allows to automatically detect and display devices on your network. SpeechLine DW: mDNS has to be enabled on the SpeechLine DW receiver (Network Settings menu item  “mDNS”) so that the WSR app can detect the device and communicate with it. Usually, DHCP is used in networks to automatically assign IP addresses. If DHCP is used, no further configuration is required. If DHCP is not available or if you have complex networks, please contact your network administrator who will configure the network including IP assignments. Receiver, router and WSR app device have to be in the same network. The receiver and the router have to be connected to each other via Ethernet cable, the WSR app device has to be connected to the router via WiFi. 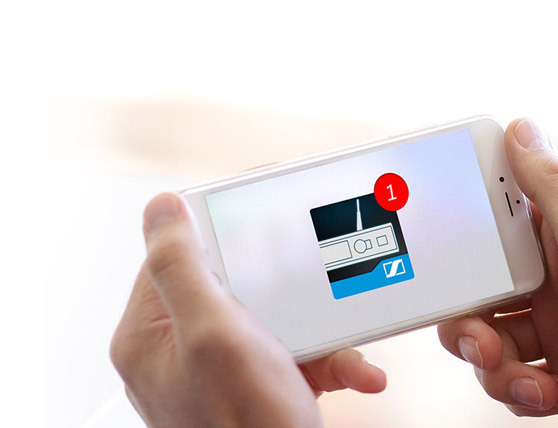 The WSR app automatically detects devices on the network and lists them. *Apple, a logomarca da Apple, iPhone, iPad e iPad Air são marcas registradas da Apple Inc., registradas nos EUA e em outros países. App Store é uma marca de serviço da Apple Inc.